Facing a lengthy jail sentence for an eighth DUI in his lifetime, this Athens, GA man had been advised by his first criminal defense attorney in Athens, GA to take the deal offered by the Prosecutor: to plead guilty to DUI and two other charges, and serve 60 days in the Athens-Clarke County jail, with the balance of 36 months on probation. By virtue of this plea, the Client would not be driving for more than three years, and then would have to pay for and attach an ignition interlock device. When he was arrested, the accused man limited his research to lawyers in Athens GA, and unfortunately selected a low-cost DUI attorney. This drunk driving lawyer did little or no detailed investigation, but was paid very little to handle a highly complex case. The accused man was confident in his innocence of DUI. He had not consumed alcohol. He looked for an Athens lawyer whose DUI fees were low because he knew he was innocent. The Client felt that most (if not all of the charges) in Athens-Clarke County State Court were not supported by the Athens police department’s version of the evidence. The plea offer negotiated by the initial DUI lawyer in Athens, GA cut the total charges from 9 charges to 3 offenses, but those three charges were DUI, hit and run, and reckless driving. Dissatisfied with hiring a cheap DUI attorney, he called Athens GA DUI lawyer Bubba Head for a second opinion on his pending driving under the influence case in State Court of Athens-Clarke County GA. He knew that Bubba Head was the man who wrote the book on how to beat a DUI. Because the scheduled plea date was less than 2 weeks away, criminal attorney Bubba Head was required to listen to dozens of 911 calls, plus look at several hours of body cam footage from over 8 different police officers with the Athens-Clarke County Police Department. The accident happened on the outer loop of the Athens Bypass going toward Lexington Road from the Timothy Road area. Traffic from the accident with a state roadway directional sign caused by a second vehicle was backed up for more than an hour. 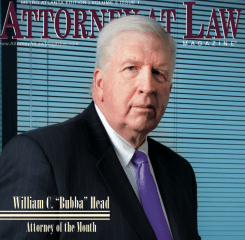 Once the first Athens attorney withdrew, and Bubba Head became the new criminal defense attorney in Athens, GA for the accused Client, the Prosecutor was notified that no guilty plea would be entered, as negotiated by the first DUI attorney. Georgia DUI Lawyer Bubba Head entered his appearance as DUI defense lawyer and filed an immediate statutory speedy trial demand at the calendar call, which occurred three days later. The Chief Judge of State Court of Athens-Clarke County set the date for 2 weeks from that date. This quick trial setting put a great deal of pressure on the Prosecutor to get this criminal case (with a massive witness list) ready for trial on short notice. It became apparent to criminal defense lawyer Bubba Head that the Prosecutor had not meticulously watched the 8-plus hours of body cam video footage, to get the same “picture” of these alleged misdemeanors that Mr. Head had gotten. Because the first DUI lawyer had simply asked for the best guilty plea available, why would the assigned prosecutor BOTHER to watch the videos to see what REALLY happened? These Athens-Clarke County police DUI arrest videos were instrumental in Athens criminal lawyer Bubba Head suggesting a different strategy to the Client. The charges – including DUI – could not be proven, by virtue of the specific facts of how the accident involving the second car started, and that the second driver (who we believe fell asleep at the wheel after working all night) was in no way impacted by Mr. Head’s client driving too fast in an old, dilapidated vehicle that had lost a part of the hood assembly that hurdled through the air. Many of the 911 callers that morning were simply wrong about their conclusions, which were made in a panic situation. Ultimately, the Client and the very distinctive and unique antique car he had been driving were found at a residence address about a half hour later. The Client was required by Athens-Clarke police officers to step outside the residence, where police from the Athens Police Department started to ask him questions. Instead of remaining silent, he started to answer their questions. The Client vehemently denied causing any auto accident. But, as the officers proceeded to do a DUI investigation, including questions about his prescription medications, he continued to talk. Like most of our clients, this Client did not exercise his constitutional right to remain silent. The numerous, unbiased body cam videos from the Athens-Clarke County police department, however, convincingly proved that he was not impaired, as he verbally sparred with the DUI officer and indicated that their field sobriety test requests were humorous. By using these high-quality videos and a timeline of each part of the 911 calls, it was apparent that the second car was too far behind the Client to have been affected by the loose body part coming off the hood of the Client’s antique vehicle. The simple fact to it was that one of the Athens, GA police officers, who arrived long after the first responders, had been listening to Athens police radio chatter. When he arrived, instead of investigating and collaborating with other officers and witnesses, he convinced the other officers that this was a hit and run case. He surmised this merely by hearing radio chatter from the 911 calls and dispatch communications, but did not have any true idea what happened on the Bypass in Athens, GA. He virtually coached the driver of the wrecked second car about what to say, which was all captured on body cam video. By watching his full camera footage, and the earlier footage of the man in the other wrecked car, it was apparent to DUI lawyer Bubba Head that this Athens police officer’s version of the facts was pure speculation and conjecture. At the upcoming trial, Athens DUI lawyer Bubba Head was simply going to play this misguided Athens-Clarke police officer’s body cam video for the jury, and cross-examine him into admitting that every aspect of his guesswork was not backed up by a shred of REAL evidence. When new negotiations between the Athens-Clarke County Solicitor and DUI attorney Bubba Head began, the Client had an Athens lawyer backing up his story: he did not cause the second vehicle to wreck. Moreover, he was not drunk or on drugs, such that his driving was impaired. As the detailed investigation of Athens criminal defense lawyer Bubba Head was shown to the Prosecutor, the Athens police officer’s version of the facts was clearly flawed and complete conjecture. Ultimately, the Client was allowed to plead guilty to reckless driving, and for not attaching the loose auto part (an air intake add-on part of the hood) securely. The case was resolved with no DUI, no hit and run, no jail time, no loss of license, and all but two charges dismissed. A fine was paid and the Client was able to go back to his job, which required him to be able to drive. So, the Client who changed DUI attorneys avoided pleading guilty, going to jail, and losing the right to drive, based upon the very poor legal advice of his first DUI Attorney in Athens, GA. Like many DUI lawyers who DON’T try cases, this originally-hired Athens attorney failed to find the truth in the case by thoroughly examining every item of evidence. The Client was able to walk away, fairly unscathed, after dodging a DUI eighth offense in this Athens DUI accident case. If you have been recently charged with a felony or misdemeanor ANYWHERE IN GEORGIA for any criminal offense, including drunk driving, contact our Athens DUI office today for a FREE consultation, and get quality legal representation by Mr. Head or one of his law partners. Call our 24-hour DUI law office anytime day or night at 706-621-3625 (local) or toll free 1-888-384-4323 (1-888-DUI-HEAD). The call is FREE. The consultation is FREE. Why not hire the best DUI lawyer in Athens, GA?